with their fundraising events and silent auctions. I welcome enquires on how I can help at your next event. Please email mail me for inquiries. Resin and Mica on 30 x 40 birch panel. Recently donated to the Beverly Woods Primary School for their upcoming auction - Good Luck!! 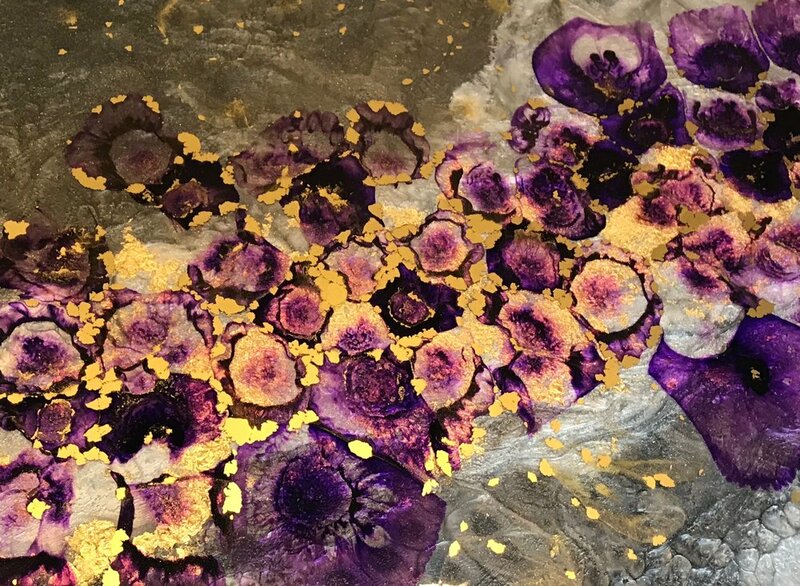 Resin infused with Mica pigments , Alcohol Inks and gold leaf. 'Charlotte Lately' interior designer event. for their Annual Barefoot Gala. Such a great cause! I am so happy to have been given the opportunity to be able to support them.